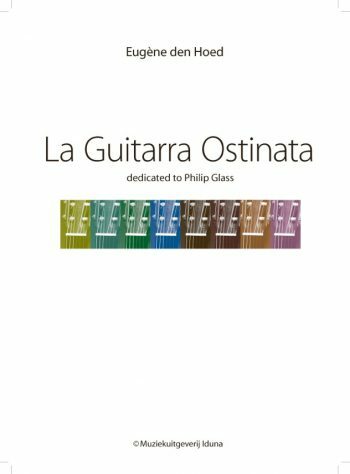 La Guitarra Ostinata is een compositie voor gitaar opgedragen aan Philip Glass, een van de bekenste ‘minimal- music’ componisten van deze tijd. Een van de kenmerken van dit stuk is een ostinaat strak ritmisch patroon dat steeds een maat wordt herhaald. 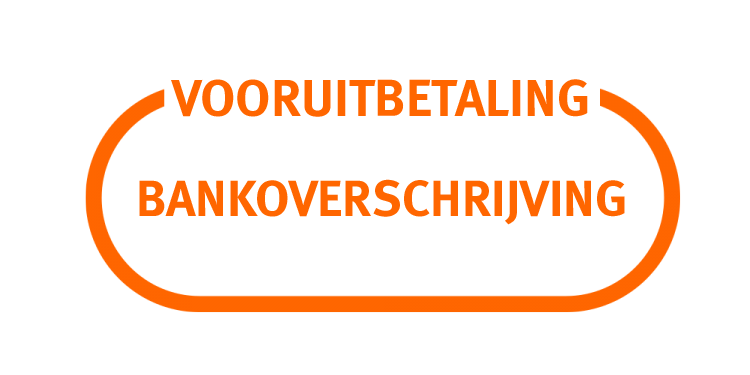 Ieder volgend patroon is een vervolg op het vorige patroon. Twee langzame delen – in een melancholieke tonale zetting –kaderen de repeterende motieven in. 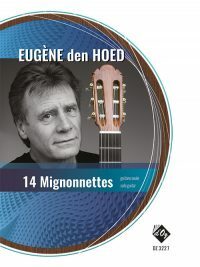 Dit stuk is opgenomen door Eugène den Hoed op Iduna CD ‘Music for Guitar’ volume 8 MGLO 1083. 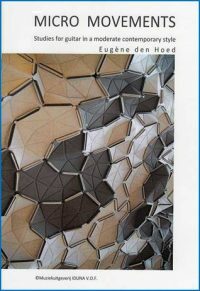 Muziekuitgeverij Iduna 0115, 10 pp. This man’s music is never boring, but instead is always inventive, with plenty of wonderful musical ideas, and as he is so prolific, it is surprising that more people haven’t taken his pieces into the concert hall. 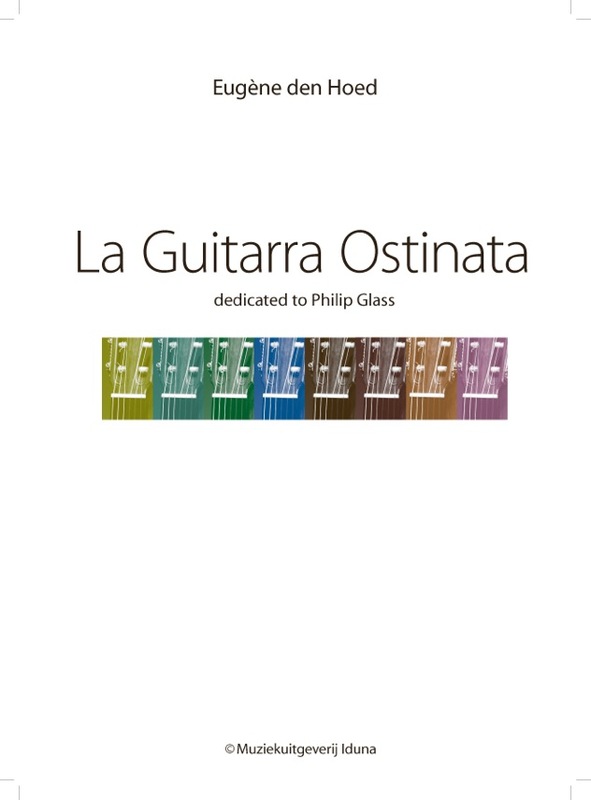 This latest one-movement work has a dedication to Philip Glass, and it is immediately apparent that Hoed has styled the work on some of Glass’ musical ideas. 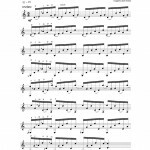 The piece has two entirely different sections, the first being a group of six eighth notes that you repeat three more times, before a new six-note pattern, which is played four times, and so on. 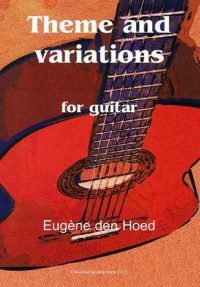 The patterns themselves are almost hypnotic in nature, and usually bob around in an almost random fashion, with lots of hammer-ons and pull-offs in the middle to make this a harder piece to play than it at first appears (especially at the required speed of 152 quarter notes per minute). 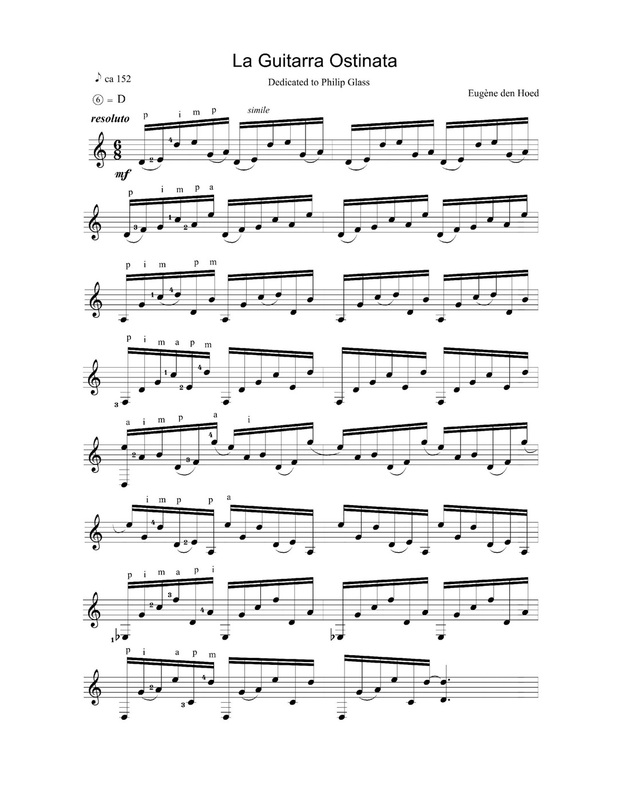 To give you an idea, there are 24 patterns of six notes in the opening section, all slightly different from one another. Then, a sudden pause and a long-breathed chordal larghetto enters, with much use being made of slightly exotic and unexpected chords. After this temporary respite, the six-note repeating figures continue for another 24 different patterns before a final return to the larghetto, this time slightly embellished from the previous version. After a final 8 bars of six-note arpeggios, the piece is over. 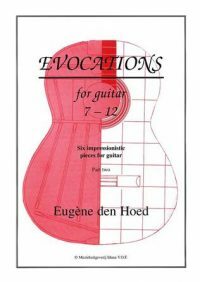 This piece is certainly not easy but moderately advanced players will be able to cope with its ever shifting complexities. I found it entertaining and great for getting my fingers moving!